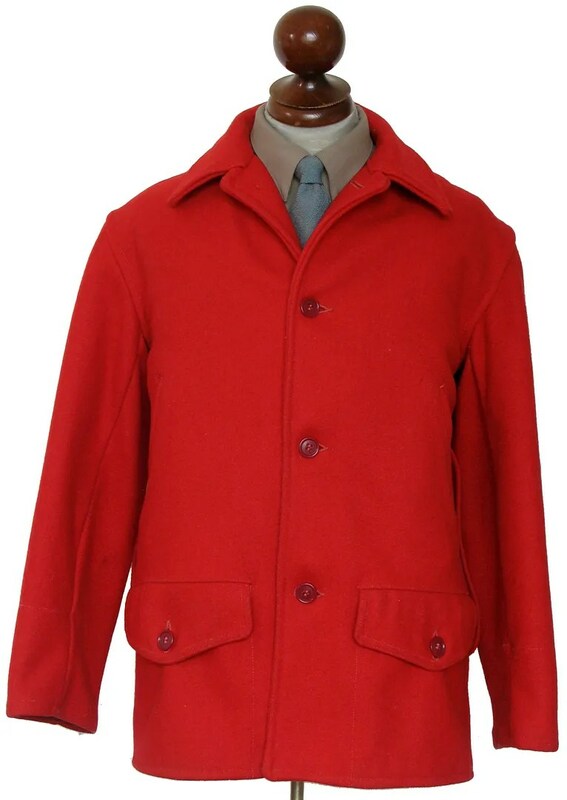 This vintage hunting jacket was made in the 1950s in Toledo, Ohio by the Hettrick Manufacturing Company under their American Field Sportswear label. 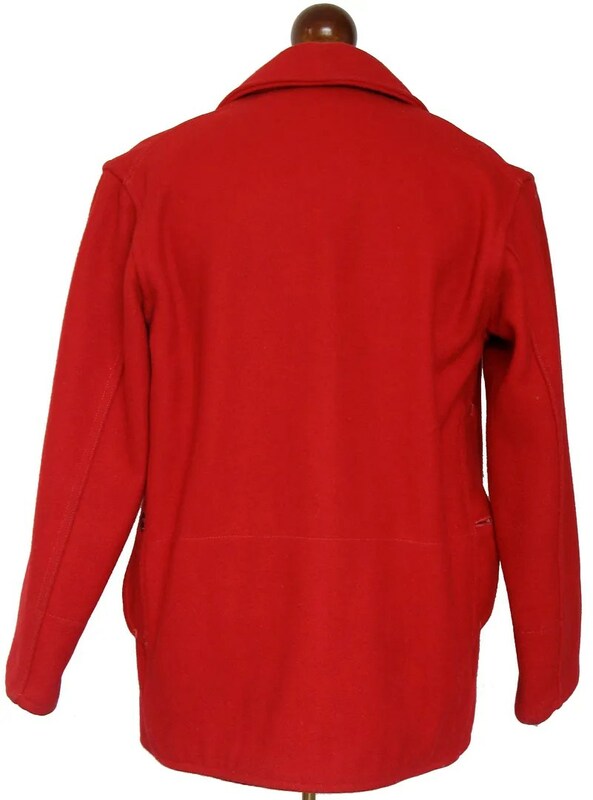 The jacket is made from red wool, with handwarmer pockets and buttoned, flapped cargo pockets. 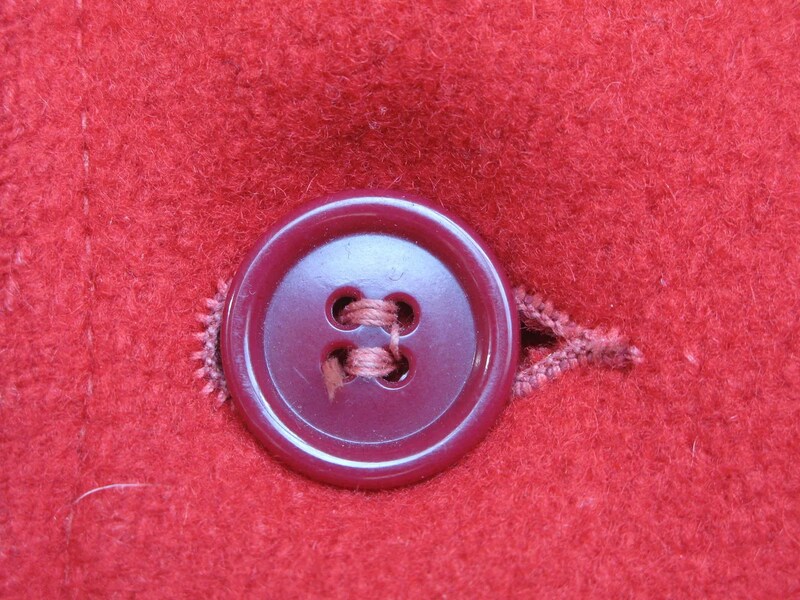 It has access to an internal game pocket through buttoned slits on the side seams. 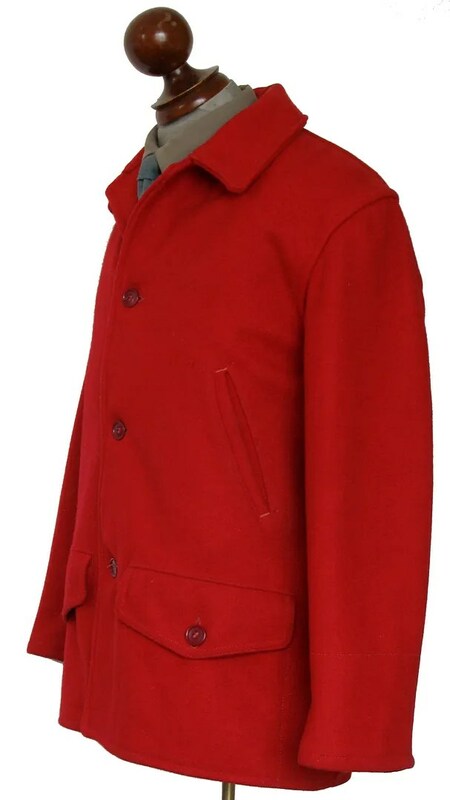 The coat has a cotton flannel lining and viscose rayon sleeve linings. 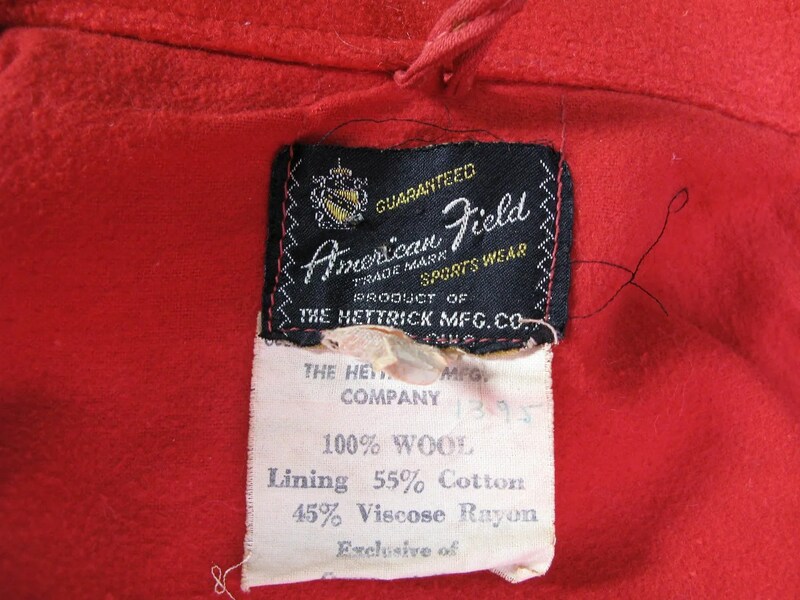 This entry was posted in Coats, Jackets and tagged American Field, blanket, clothing, coat, hettrick, Hettrick Mfg Co., hunting, jacket, lumbersexual, mackinaw, mens, Ohio, red, style, Toledo, vintage, vintage clothing, vintage fashion, wool by Spencer Stewart. Bookmark the permalink.